But while there is still a lot we don’t know, enlightenment won’t hesitate to appear. The ancient Chinese philosophy of Feng Shui basically deals with how the relationship between a person and their environment influences their well-being, as well as the ways on how to improve on that. This naturally includes the area of mental health as well, and believe it or not, this way of living can truly impact yours in a positive way. As members of a consumer society, we have the toxic tendency to gather more and more things, even when our home is already at full capacity. This psychological mechanism is triggered by a need to own anything that appeals to us in the slightest, and the outcomes can be devastating for our mental health. Medical research backs up these claims. According to a study conducted at U.C.L.A. on 32 middle-class families from Los Angeles and cited by the New York Times, all the mothers exhibited a spike in stress hormones when they had to deal with the majority of their material belongings. If you’ve been through it, then the situation most likely feels all too familiar already. Furthermore, three-quarters of the participant families had so little space left in their garage that they couldn’t even park their cars in there anymore. This happened because the majority of it was full of things they once bought, but no longer need or use. Although this is admittedly a small sample group, the reality is the same for most people in today’s world. 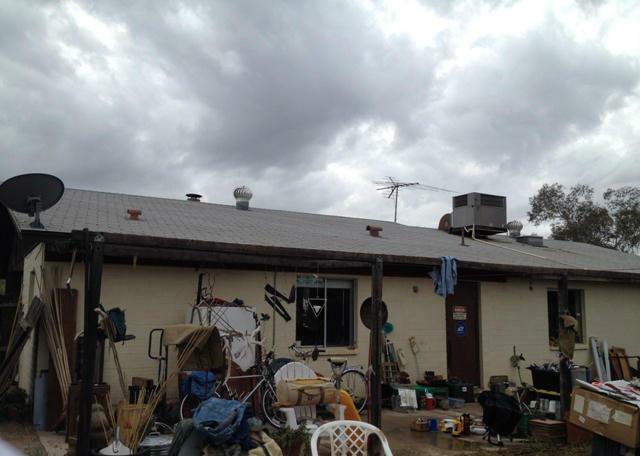 How would you feel if you go home everyday to the sight of this front yard? Will going home be less attractive? Unfortunately, there are dire consequences that this kind of behavior has on one’s mental health. An excess of stressors crowding your daily existence ultimately triggers anxiety, which turns into a serious mental health problem if left unattended. So, where exactly does Feng Shui come into play here, and how can it assist? First, let me point out that clutter is NOT part of Classical Feng Shui. Decluttering is part of a new-age Feng Shui practice due to the rise of consumerism. One of the most important tips new-age Feng Shui offers is that the less clutter we have in our lives, the better we will feel. By making sure that your surroundings are neat and organized, you will always start your day off with an incredible sense of calm that will relieve your anxiety and help you regain your inner balance. Did you know that the lack of sleep is both a symptom and a cause of poor mental health? Statistics published by Harvard Medical School shows that patients who suffer from conditions such as anxiety, depression or bipolar disorder experience insomnia simultaneously with their affliction. But a study described in the same article reveals something else too. Not only do people who suffer from mental illness usually end up losing sleep for nights on end as a consequence of their illness, but according to the statistics above, insomniac participants in a 1989 study have been proved to be four times more likely to develop depression later on in life than those who were well rested and had no issues in this area of their lives. Choosing the appropriate place to sleep in is one of the most important principles of Feng Shui. First of all, it’s essential to choose a room that is situated in back side of the house so that you leave behind all the noise and agitation outside. Also, the bed should be placed against a solid wall and have no door or mirrors facing it. Here’s a long list of 33 Feng Shui bedroom tips to help you promote better sleep. A bedroom with proper Feng Shui promotes better sleep, which is essential to both your physical and mental health. 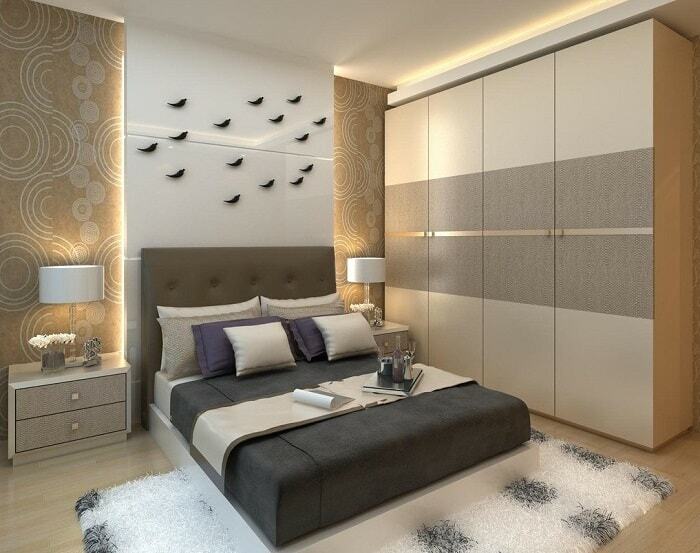 A good Feng Shui bedroom allows positive energies, or Qi, to flow and promotes a deep slumber. If you follow those Feng Shui principles, your mental health won’t hesitate to improve. After all, a well-rested person is a happy person. Feng Shui philosophy contains an important concept, namely the ancient principle of Tao. It refers to man’s connection to nature. It can be found in anything from inhaling the first breath of fresh air once you reach the seaside and bury your feet in the sand, all the way to the peace and quiet of a remote forest. Inviting nature into your life in any way you can is thus very important when you adopt this lifestyle. It is also something that can truly help you treat your mental illness if you suffer from one. Recent research conducted by Dr. Gregory Bratman of Stanford University on a small group of volunteers has shown that nature therapy is effective in this respect. The participants were divided into two groups. While one walked around the busy city streets, the others took pleasant strolls through nature regularly. The second group has shown a decrease in anxiety level and negative feelings. 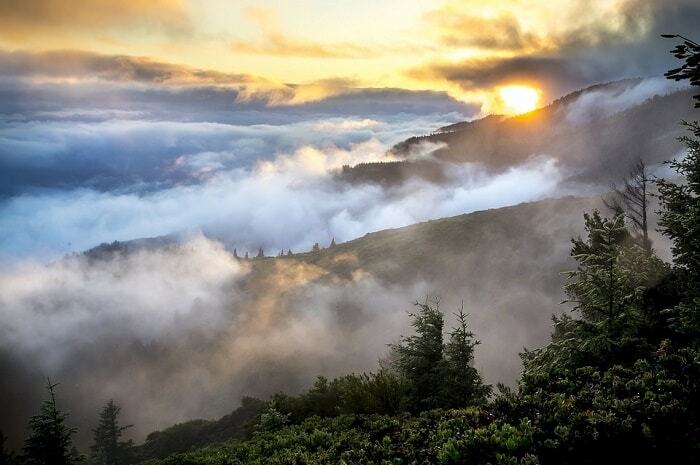 This is how nature can help you heal if you welcome it. Don’t be afraid to enjoy the great outdoors and its curative powers. Fun Fact: Forest Therapy is a research-based framework for supporting healing and wellness through immersion in forests and other natural environments. Also, having indoor Feng Shui plants will help. Studies have shown indoor plants can improve concentration and productivity, generate happiness, reduce stress, inspire compassion, improve energy level, and improve learning abilities. Plus, having indoor plants is a great boost to Feng Shui too! Here’s a guide about Feng Shui indoor plants if you’d like to learn more. When you have to live with mental illness, every day is a battle. And unfortunately, many patients struggle with negative perceptions of themselves, their peers or the world in general. This leads to a huge lack of confidence and low self-esteem, which have adverse effects on one’s quality of life. Needless to say, when this becomes the norm, it’s hard to shake off this damaging perception. Fortunately, the ancient wisdom of the Feng Shui philosophy is strongly focused on bringing positive energies into one’s existence. Following general Feng Shui tips and spending your time optimizing your home is an amazing way to regain some of the vitality that you lost along the way. When you take the time and try your best to welcome good things into your life, you will notice a change for the better in your attitude. It might sound like a cliché but believing in the prospect of a happier tomorrow can work wonders. If you want to fight your disorder, you need to first believe that this is possible. Through this and by committing your time to work on inviting positive energies, you will become stronger with each day that passes. The principle of the five elements is one of the most basic teachings of Feng Shui. 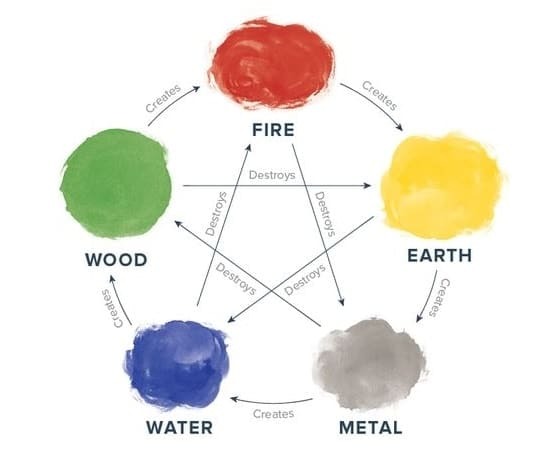 The Five Elements are wood, fire, earth, water and metal, and they all have corresponding colors. Finding the proper balance between them in your household is thus possible through the right chromatic design. Achieving this is believed to bring harmony into your life. Furthermore, the concept also applies to brain function. The right use of color in one’s surrounding environment has been proven to enhance mood and affect our emotions. This is why the proper balance in this department can have beneficial effects on those who suffer from mental illness. Wood is associated with green and brown, while earth means light yellow, brown, and other sandy tones. Fire is red, orange, bright yellow, purple and pink, while water is blue and black. Finally, metal is white or gray. Properly incorporating the color in the right places will work wonders on your spectrum of emotions. An important way in which Feng Shui becomes accessible to the general public is through the integration of a few key objects in one’s household. As long as placement guidelines are respected, said objects are bound to improve the energy flow in the living space, which brings a better quality of life along with it. Feng Shui items such as coins, crystals, bamboo trees or money plants are popular additions to households whose design has been inspired by the ancient practice. 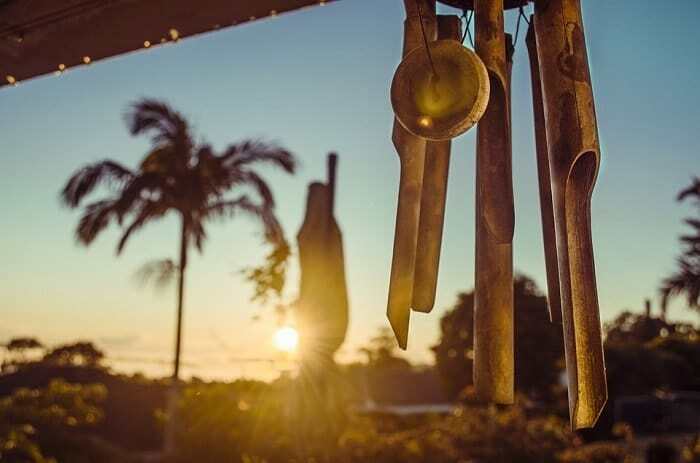 Although Feng Shui items has limited effects and are more of a ritual, placing these items help people feel more connected to the unseen forces guiding their lives and provides a sense of security. But how can this help someone with mental illness? Although the use of Feng Shui items has limited effects and are more of a ritual, placing these items help people feel more empowered and provides a sense of security. The answer is simple. Focusing on improving our physical existence in such ways brings peace of mind and promotes the onset of a positive outlook. Furthermore, it can help those struggling to regain control of their own existence, which is essential when battling disorders of the mind. Simply put, when your own self is trying to bring you down, feeling in charge is a great aid. It’s easy to be a skeptic when it comes to the curative powers of Feng Shui. Nevertheless, by welcoming its practices into your life with open arms, you will heal both your body and your mind, among many other benefits of Feng Shui. Achieving the perfect balance is a complex process, but the results are worth it in the long run. So, what are you waiting for? Alex Moore is a psychology undergraduate with an interest in Eastern Philosophy and how it can apply to our busy, daily life. When he’s not studying new ways to view the world, you’ll usually find him writing for www.schizlife.com.